Elyse Lambeth graduated from the University of Redlands with her master’s degree in communicative disorders in 2006, and received her board certification in fluency disorders earlier in 2017. 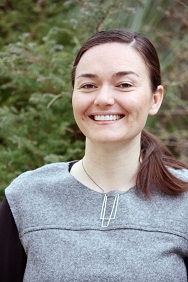 She runs the fluency clinic at Seattle Children Hospital, co-facilitates the annual Seattle Stuttering Camp for Teens at the University of Washington, and has coordinated support groups and a FRIENDS workshop. Lourdes Ramos-Heinrichs is a bilingual (Spanish-English) speech-language pathologist and has been a fluency specialist for the past 16 years. She works in the Boston Public Schools full time with culturally and linguistically diverse students. 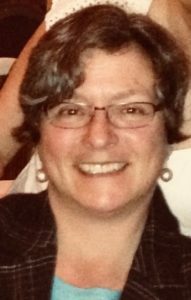 She has extensive experience working with interpreters, interprets during IEP meetings, and mentors colleagues on best practices in fluency disorders diagnostics and treatment. 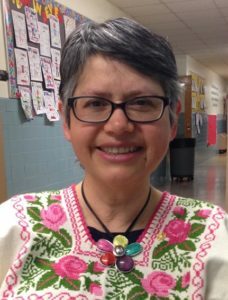 Helen Selle is a bilingual (Spanish-English) speech language pathologist, who has worked in the Boston Public Schools for over 20 years. She has attended national and international conferences on fluency disorders. She improves her clinical skills through continuing education on current stuttering research and strategies for the preschool and school age populations. Collaborating with interpreters is an important part of evaluating people who stutter with limited English proficiency (LEP). Such collaboration elicits data that can direct diagnostic and treatment decisions. This paper provides background information, and suggests some strategies that promote improved collaboration with interpreters during fluency evaluations: (1) following best practices for use of interpreters, (2) briefing the Interpreter on evaluation procedures, and (3) communicating effectively with the interpreter and client. In addition, a form is provided which outlines the steps for better collaboration between the Speech-Language Pathologist (SLP) and the interpreter during the assessment process. US Census information identified more than 63 million people, over the age of 5, who spoke a language other than English (American Community Survey, 2016). As the United States is becoming more linguistically diverse, the use of interpreters is becoming more common and essential. Research has demonstrated that using interpreters while evaluating individuals with limited English proficiency (LEP) improves the accuracy of evaluations and quality of care (Priois, Riquelme, & Ganzfried, 2012; Karliner, Pérez-Stable, Gregorich, 2017; Villalobos, Bridges, Anastasia, Ojeda, Rodriguez, & Gomez 2016). However, SLPs receive inadequate little training on working with interpreters (Langdon, 2017-2020). SLPs reported that they lacked knowledge in working with students with LEP (Roseberry-McKibbin & Eicholtz, 1994). Other studies have shown that SLPs question the interpreters’ level of skill and training and their own ability to evaluate CLD clients (Caesar & Kohler, 2007; Hammer, Detwiler, Detwiler, Blood, & Qualls, 2004; Kritikos, 2003; Roseberry-McKibbin, Brice, & O’Hanlon, 2005). Completing fluency evaluations utilizing interpreters likely compounds these issues as SLPs have frequently reported that fluency disorders is one of the areas within the profession in which they feel the least comfortable and confident (Brisk, Healey, & Hux, 1997; St. Louis & Durrenberger, 1993). Limited research on utilizing interpreters in fluency evaluations is available. A special consideration in fluency evaluations is accurately judging stuttering in an unfamiliar language. A large body of research supports that stuttering behaviors (i.e., repetitions, tense pauses, prolongations) and the presence of physical concomitants are similar across multiple languages and cultural backgrounds (Shenker 2013; Boey, Wuyts, Van de Heyning, Bodt, & Hylen, 2007; Bernstein-Ratner & Benitez, 1985; Aron, 1962; Lemert, 1952; Lemert, 1962; Leavitt, 1974; Zimmerman, Liljeblad, Frank, & Cleeland, 1985). Low levels of interjudge agreement and intrajudge stability have been found when untrained and inexperienced judges assessed stuttering samples (Cordes & Ingham, 1994). Such poor judgement of stuttering by untrained listeners suggests that it may be inadvisable to use the interpreters’ judgements of stuttering. In the limited research available about judging stuttering behaviors, there appear to be contradictory results. Some student and practicing clinicians had high inter- and intra-judge agreement, but they identified less than half of the stuttering moments that highly experienced clinicians noted (Brundage, Bothe, Lengeling, & Evans, 2006). Parents of children who stutter, by contrast, were found to have high levels of accuracy in judging stuttering in young children (Einarsdóttir & Ingham, 2009). Other studies indicated that SLPs were able to accurately judge the frequency and severity of stuttering in unfamiliar languages in both children and adults (Einarsdóttir & Ingham, 2009; Humphrey, 2004; Cosyns, Einarsdóttir, & Van Borsel, 2015; Bosshardt, Packman, Blomgren, & Kretschmann, 2016; Van Borsel, Leahy, & Britto Pereira, 2008; Lee, Robb, Ormond, & Blomgren, 2014). In contrast, two other studies that looked at reliability of rating found that clinicians demonstrated poor reliability in their native language and worse in an unfamiliar language (Hoffman, Wilson, Copley, Hewat, & Lim, 2014; Hoffman, Wilson, Hewat, & Huynh, 2017). Working with interpreters is important for obtaining the most accurate information during a fluency evaluation with individuals with LEP. Based on research in the use of interpreters in multiple professional settings, this paper proposes a framework for collaborating with interpreters during fluency evaluations. Included are best practices for use of interpreters, outlines for the role of interpreters, and suggestions for effective communication among SLPs, interpreters and clients. A form is provided to guide this process. Interpreters will use skillful unobtrusive interventions so as not to interfere with the flow of communication in a triadic medical setting. It is important to keep in mind that when working with interpreters, the SLP is responsible for all assessment decisions such as obtaining accurate information, collecting data and analyzing fluency samples. Best practices require that SLPs use culturally and linguistically appropriate materials during the assessment, and describe stuttering in a manner that is sensitive to the particular background of the client. The SLP has the responsibility to continually update their own professional training on how to best work with interpreters. The interpreter can provide valuable feedback to enhance and improve each of these aspects of a fluency evaluation, but the SLP is the provider who ultimately bears the responsibility for accurate results and appropriate recommendations. Stuttering samples should be obtained in each of the languages spoken by the PWS (Shenker, 2013). The clinician should then judge stuttering frequency and severity in each sample with input from the PWS and parents (if applicable). Descriptive discussion of length of stuttering moments, avoidance of words and talking, word switching, and types of stuttering with the PWS and their family will be important. The interpreter may be able to provide valuable information regarding whether words that contain reduplications of sounds or syllables were present in the sample or are common in the language. Finn and Cordes (1997) suggested that it was likely that clinicians would be able to distinguish between words that contained repetitions and stuttering. SLPs often use interpreters trained in the medical or law fields, and these interpreters are often not trained to work in the area of communication impairment. This can cause issues when assessing communication disorders in individuals who speak limited English. For example, a speech and language evaluations aims to understand not just the content, but also the syntax (i.e., word order), grammar, fluency, and speech intelligibility of what has been said. Interpreters in the medical field are trained to interpret for content related to the client’s health related concerns. On the other hand, SLPs must ensure that interpreters are not inadvertently invalidating the test by providing clues, prompts, or scaffolds. Having time to brief the interpreter prior to the evaluation is important to discuss the clinician’s expectations for the interpreter during the evaluation. Additionally, terms for stuttering and what is considered stuttering may vary widely between individuals and, more broadly, languages and cultures. It is important to discuss the terminology that will be utilized during the fluency evaluation with the interpreter to ensure understanding and, therefore, accurate interpretation. One of the authors recently had a family from China that described their son’s communication difficulties as stuttering. The teenager also reported that he stuttered and that he avoided talking at times and was self-conscious because of his stuttering. It was not until the author saw the child for an evaluation that it became clear that he had a significant speech sound disorder and not a fluency disorder. Utilizing examples of types of disfluencies may be helpful in describing stuttering and avoiding confusion. In order for the interpreter to be well prepared for interpreting the evaluation, he/she needs to be informed about key assessment objectives, be familiarized with protocols and diagnostic tools, and be provided with clear directions on how to act in the clinical setting. During the briefing, the SLP should convey to the interpreter that any errors in grammar and speech sound must be relayed to the clinician. Differences in voice, fluency, and pragmatics are also helpful things for the interpreter to note. Ensure that the interpreter understands that the clinician would like him/her to feel comfortable asking for clarification whenever it would be helpful. It may be helpful to discuss with the interpreter that this particular evaluation is looking at whether the child stutters, but to keep alert about other possible coexisting communication impairments. A full stuttering evaluation looks at strengths and weaknesses in all aspects of communication to determine the impact in daily life. The clinician should talk directly to the client or family as if they can speak English. Novikoff, Porto, & Haynes (2012) suggest that developing rapport with the interpreter is essential for a positive collaborative experience. We hope that these guidelines will help you to have a successful collaboration with an interpreter during a stuttering assessment. We know from personal experience that working with interpreters helps immensely to bridge language and cultural gaps. Working with an interpreter allows us to develop rapport with the client, gather authentic data, and receive verbatim translations. When you combine all these benefits, it is logical to employ the services of a qualified interpreter, in order to get an in-depth and well-balanced assessment result. Aron, M.L. (1962). The nature and incidence of stuttering among a Bantu group of school-going children. Journal of Speech and Hearing Disorders, 27, 116-128. Bernstein Ratner, N., & Benitez, M. (1985). Linguistic analysis of a bilingual stutterer. Journal of Fluency Disorders, 10, 211–219. Boey, R., Wuyts, F.L., Van de Heyning, P.H., De Bodt, M.S., & Heylen, L. (2007). Characteristics of stuttering-like disfluencies in Dutch-speaking children. Journal of Fluency Disorders, 32 (4), 310-329. Brisk, D. J., Healey, E. C., & Hux, K. A. (1997). Clinicians’ training and confidence associated with treating school-age children who stutter. Language, Speech, and Hearing Services in Schools, 28, 164–176. Brundage, S. B., Bothe, A. K., Lengeling, A. N., & Evans, J. J. (2006). Comparing judgments of stuttering made by students, clinicians, and highly experienced judges. Journal of Fluency Disorders, 31, 271–283. Caesar, L. G., & Kohler, P. D. (2007). The state of school-based bilingual assessment: Actual practice versus recommended guidelines. Language, Speech, and Hearing Services in Schools, 38(3), 190–200. Cordes, A. K., & Ingham, R. J. (1994). The reliability of observational data: II. Issues in the identification and measurements of stuttering events. Journal of Speech and Hearing Research, 37, 279–294. Cosyns, M., Einarsdóttir, J. T., & Van Borsel, J. (2015). Factors involved in the identification of stuttering severity in a foreign language. Clinical Linguistics and Phonetics, 29, 909–921. Einarsdóttir, J., Ingham, R. (2009) Does language influence the accuracy of judgements of stuttering in children? Journal of Speech Language and Hearing Research, 52, 766-779. Finn, P., & Cordes, A. K. (1997). Multicultural identification and treatment of stuttering: A continuing need for research. Journal of Fluency Disorders, 22, 219–236. Hammer, C. S., Detwiler, J. S., Detwiler, J., Blood, G. W., & Qualls, C. D. (2004). Speech-language pathologists’ confidence and training levels when serving Spanish-bilingual children. Journal of Communication Disorders, 37, 91–108. Hoffman, L., Wilson, L., Hewat, S., & Huynh, T.B. (2017). The reliability of Vietnamese speech therapists’ use of a severity rating scale to measure stuttering. Speech, Language and Hearing, 20 (4), 223-231. Hoffman, L., Wilson, L., Copley, A., Hewat, S., & Lim, V. (2014). The reliability of a severity rating scale to measure stuttering in an unfamiliar language. International Journal of Speech-Language Pathology, 16, 317–326. Humphrey, B. D. (2004). Judgments of disfluency in a familiar vs. an unfamiliar language. In Packmann, A., Meltzer, A., & Peters, H. F. M. (Eds. ), Theory, research and therapy. Proceedings of the Fourth World Congress on Fluency Disorders (pp. 423–427). Nijmegen, the Netherlands: Nijmegen University Press. Karliner, L., Pérez-Stable, E., & Gregorich, S. (2017). Convenient access to professional interpreters in the hospital decreases readmission rates and estimated hospital expenditures for patients with limited English proficiency. Medical Care, 55, 199-206. Kritikos, E. P. (2003). Speech-language pathologists’ beliefs about language assessment of bilingual/bicultural individuals. American Journal of Speech-Language Pathology, 12, 73–91. Langdon, H. W. (2002). Working with interpreters to serve bilingual children and their families. Video, ASHA. Leavitt, R. (1974). The Puerto Ricans: Culture change and language deviance. University of Arizona Press, Tucson, AZ. Lee, A.S., Robb, M.P., Ormond, T., & Blomgren, M. (2014) The role of language familiarity in bilingual stuttering assessment. Clinical Linguistics & Phonetics, 28 (10), 723-740. Lemert, E.M. (1952) Stuttering among the North Pacific coastal Indians. Southwestern Journal of Anthropology, 8, 429-441. Lemert, E.M. (1962). Stuttering and social structure in two Pacific societies. Journal of Speech and Hearing Disorders, 27, 3-10. Roseberry-McKibbin, C. A., Brice, A., & O’Hanlon, L. (2005). Serving English language learners in public school settings: A national survey. Language, Speech, and Hearing Services in Schools, 36, 48–61. Roseberry-McKibbin, C. A., & Eicholtz, G. E. (1994). Serving limited English proficient children in schools: A national survey. Language, Speech, and Hearing Services in Schools, 25, 156–164. Shenker, R. (2013) Bilingual myth-busters series when young children who stutter are also bilingual: Some thoughts about assessment and treatment. SIG 14 Perspectives on Communication Disorders and Sciences in Culturally and Linguistically Diverse Populations, 20, 15-23. St. Louis, K. O., & Durrenberger, C. H. (1993). What communication disorders do experienced clinicians prefer to manage? ASHA, 35, 23–31. U.S. Census Bureau; American Community Survey, 2016, Detailed Tables; accessed by Elyse Lambeth; using American FactFinder. Van Borsel, J., Leahy, M. M., & Britto Pereira, M. M. (2008). Judging stuttering in an unfamiliar language: The importance of closeness to the native language. Clinical Linguistics & Phonetics, 22, 59–67. Villalobos, B., Bridges, A., Anastasia, E.A., Ojeda, C.A., Hernandez Rodriguez, J., & Gomez, D. (2016). Effects of language concordance and interpreter use on therapeutic alliance in Spanish-speaking integrated behavioral health care patients. Psychological Services, 13, 49-59. Zimmermann, G., Liljeblad, S, Frank, A., & Cleeland, C. (1983). The Indians have many terms for it: Stuttering among the Bannock-Shoshoni. Journal of Speech and Hearing Research, 26, 315-318. Thank you for your interesting paper. I used to go to international meetings with disability associations. The sign-language interpreters always liked it when I speak, as, because of my stutter, they can sign every single word. 🙂 Sometimes they ask if they are allowed to sign my stuttering (i.e. repeat through signing). Well of course. 🙂 Happy ISAD. Thank you for reading our paper and sharing your story! As a trilingual speech-language pathologist, I thoroughly appreciate this article as the principles can apply to any assessment, not just for the assessment of stuttering. Thank you for the downloadable document…I will definitely be sharing this resource in my Fluency Disorders class! ¡Muchísimas gracias! I’m glad that you found this article helpful and I hope that your students do, as well! What a wonderfully insightful, well-referenced and professionally-written paper with specific suggestions for an SLP to collaborate effectively with an interpreter to evaluate clients who stutter having Limited English Proficiency. May I link to the article and the helpful “Guidelines for SLP and Interpreter Collaboration for a Stuttering Assessment” on the Stuttering Home Page with proper attribution? I’m glad that you enjoyed our paper! I know that we would all be happy to have more speech-language pathologists feel comfortable working with interpreters with their clients who stutter and would therefore be happy to have you link to our paper. I am currently a graduate student studying speech language pathology. I really enjoyed this paper due to the fact we have not really touched on talking about collaborating with an interpreter when it comes to fluency, yet. In the paper, it is mentioned that oftentimes as a SLP you may work with interpreters who are unfamiliar with communication impairment. It is outlined well how to prepare the interpreter since it is so important that they are familiar with the objectives and given clear instructions. I was just wondering from your experience if this is a difficult task to explain when the interpreter has no prior knowledge of fluency evaluation? Especially since you mention the evaluation relies on accurately judging stuttering in an unfamiliar language. I just found it really interesting that completing fluency evaluations while utilizing interpreters may be a reason SLPs have frequently report fluency disorders as one area they feel the least comfortable. Thanks for reading through our paper and asking some really interesting questions. I echo what Lourdes has recommended about getting a lot of information from the person who stuttering and his/her parents. The interpreter should not be relied upon to identify moments of stuttering or judge stuttering severity. The interpreter will be the person who is relaying all the information to the family and so I always try to provide lots of examples and will point out moments of tension, as appropriate, and have the person who stutters describe what is happening while tying what he/she is telling me with information and education about stuttering. I have had several interpreters tell me that they do not know a word to say for “stuttering” in their language. I then describe stuttering and they find ways of describing it to the family. I have had interpreters use the word “repeating” in place of stuttering, but I try to tell them that stuttering can be repetitions but also block and prolongations. It is a moment of tightening. That sometimes helps them to describe stuttering to the family. There isn’t a study that I know of that directly ties interpreters as being a reason why SLPs are uncomfortable working with people who stutter. Both are areas that are uncomfortable for SLPs according to surveys, and therefore having an assessment that combines using interpreters with evaluating a person who stutters is understandably intimidating. We hope to provide guidance to tackling a fluency assessment with an interpreter to make the experience valuable and positive for everyone involved. All the best as you continue your studies! I really love being a speech-language pathologist!! Thanks so much for this thoughtful paper. I agree with you on how helpful the communication with parents and the accuracy of translation could be in the assessment. Parents’ concerns are usually a very accurate indicator of potential communication impairment and SLPs should be able to tap more into these concerns. The interpreters play critical roles in facilitating the discussion between all interlocutors and convey in a sensitive and accurate manner what specific behavior they are observing and the degree of the concerns. Thanks for these valuable guidelines. Thank you for this very informative paper! I was wondering if you could provide a general time frame that you believe would be sufficient for properly briefing an interpreter in all the ways you suggested. In my limited experience with interpreters in the school setting (not related to fluency disorders), the interpreter tended to arrive at the start of a session with the client and leave directly after with them, leaving a limited amount of time for discussion about interpreting the specifics of the session. Thank you for sharing your experience. The time frame for briefing and debriefing an interpreter is tricky! In the hospital setting, I do not have much time before or after sessions either. I try to let the interpreter know what we are evaluating and go over basic terms in 5 minutes before the evaluation. I also provide a lot of education at the beginning of the fluency evaluation to educate both the child, the parents, and the interpreter about what stuttering is and what it can feel and sound like. My advice is to provide a lot of examples and keep asking what questions the family (or interpreter) has. I always aim for open communication with the interpreter during the evaluation, because then they can ask clarifying questions and ensure that they understood your message. Thanks for pointing out this frustrating reality of many work settings! Hello! Thank you all for the helpful thoughts. As a student just beginning my undergraduate career as an SLP/Spanish double major, multicultural considerations in SLP interest me quite a bit. I am curious, are most of the interpreters for the field hired out by session, only called in as needed for translation of individuals with limited english proficiency? Or do some practices employ interpreters on a continuous basis? Thank you very much for publishing this article! As you mentioned, the United States is becoming more diverse. As a future SLP, having these guidelines on hand is helpful. It is even better to learn from evidence-based practices of long-time SLPs. The example of the Chinese family that was mentioned was quite interesting to me. It had me think about how people from other cultures perceived communication disorders and what influenced their thoughts. Even though this misunderstanding may or may not be unique to the family, knowing that these things happen can help us be prepared.